Your eyeglasses couldn’t be more prominently placed and fashion forward if they tried! You wear your frames front and center, every day, all year long. The fashion conscious among us might consider how their frames fit their overall ensemble, but for most of us, fashion means clothing, and eyeglasses don’t count. We have over 1500 individually selected frames in our showroom for every shape, style, and season you desire. Your prescription stays the same, but your frames can enliven the way you take on summer, or settle into winter. The major brands and designers we work with have frames that change the way people see you, and the way you see yourself. The prescriptions we put in those frames change the way you see the world. Our optical specialists can guide you on a tour of summer styles and the latest trends in fashion frames to spice up your summer. Mix it up! You don’t have to be stuck wearing the same frames all year long. When you dig into your closet for shorts and summer dresses, sandals and sunscreen, why not reach for your summer eyeglasses and really feel like you’re shedding some of those winter layers. Brands like Oakley, Dolce & Gabbana, Kaenon, and Prada are redefining how we see eyeglass frames. They know this isn’t a one-size-fits-all kind of world, but one where each of us can choose how we express ourselves, and that we like to keep things lively. Whether you’re going vintage or retro, modern or sleek, intellectual or casual, informal or eye-popping, summer is time to pack the rules in a trunk and let the sun shine. Visit Berlin Optical Expressions today and see yourself in our summer styles. 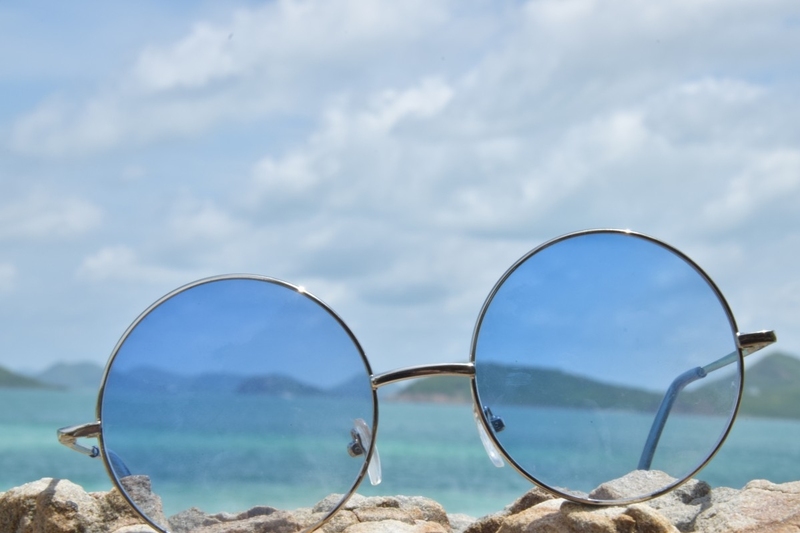 Treat yourself to a second or third pair of eyeglasses not because you’re always misplacing the ones you already have, but because your eyeglass frames can say so much more about you, and summer demands you speak your mind.